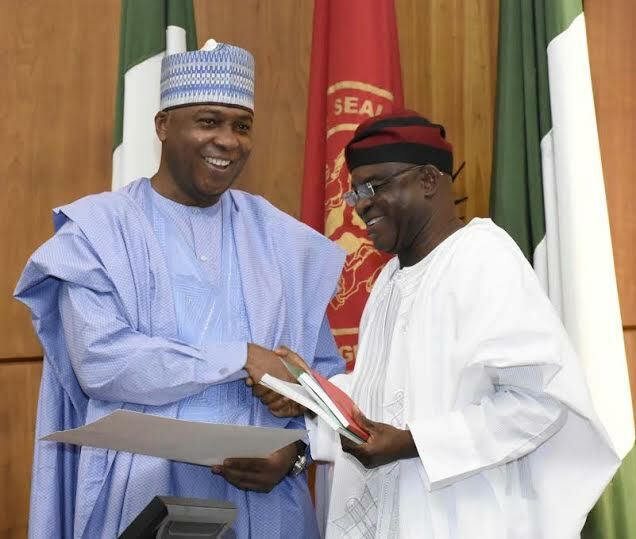 The Senator representing Benue South, Senator David Mark was today, March 2, sworn-in into the Senate for a record 6th time. The Appeal Court sitting in Markurdi annulled the election of the former Senate President last year and he was declared winner of the re-run election held on Saturday, February 20. Senator Mark was sworn in at exactly 11 am in the hallowed chamber by the Senate President Dr. Bukola Saraki after taking the traditional oath of office and allegiance. 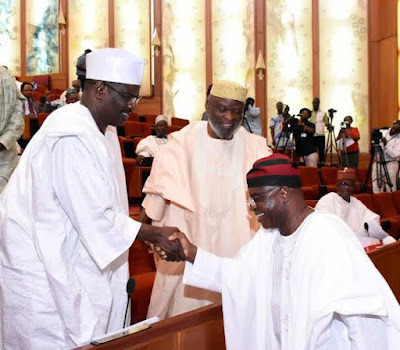 Shortly after the swearing in, Senators at the plenary session rose in solidarity with Senator Mark as they took turns to hug and exchanged banters with him. He is the only Nigerian to have contested a Senatorial position six times, won and was sworn in accordingly. 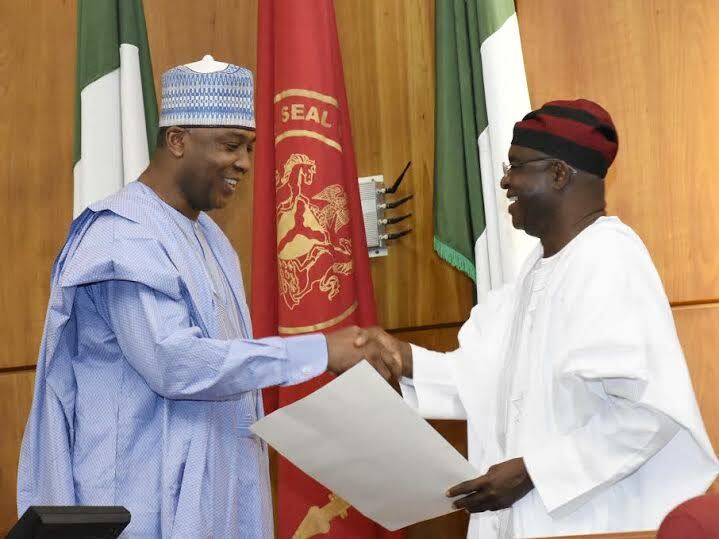 He was Senate President from 2007 to 2015.